How does Tiptronic transmission work? When you are driving, do you like to do everything yourself? Take full command of the vehicle? You probably prefer cars that feature a manual transmission then, right? That’s the type of car that attracts drivers who are looking to do it all themselves and be one with the car. If you prefer to let the car take over some of the work so you can enjoy the scenery and do not need to worry about stalling, you probably like automatic transmissions. But did you know there is a third option in today’s world? It’s called Tiptronic transmission. How does Tiptronic transmission work? Keep reading to find out! Tiptronic transmission gives drivers who normally prefer to drive with an automatic transmission the feeling of what it is like to drive a manual transmission. The automatic transmission in your Tiptronic-equipped Volkswagen can be overridden by moving the lever into a second shift gate, called Tiptronic. Changing gears can be done by moving the lever forward to shift up, and moving the lever back to shift down. You can do all of this without having to worry about a clutch pedal or stalling out in the middle of an intersection. This is sort of a way to have your cake and eat it, too. You can experience the convenience of automatic and the thrill of manual at the same time, and the car will upshift or downshift on its own if certain parameters are met, so it is completely free of worries. How does Easy Open Trunk work? Nearly all Volkswagen models can be equipped with Tiptronic transmission, including the Beetle, CC, Golf, Jetta, and Passat. Tiptronic mode is a way for Volkswagen drivers to experience a happy medium with transmission, and it is yet another way the automaker wants to make driving fun. 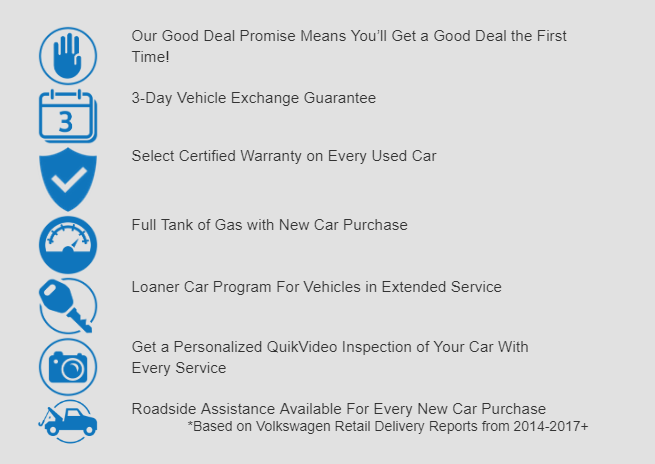 Keep in touch with the Owens Murphy Volkswagen blog for more tips and tricks!